So it’s time to explore the Greek islands. Because we are avid travelers, the hot-spot destinations swarming with tourists could potentially be underwhelming and overpriced. Not quite the experience we’ve been dreaming of. No more wondering where to go in Greece! Pick your favorite places, book your tickets online, pack your bags and start traveling! We crave the lesser known, and lesser traveled gems that offer authentic experiences to satisfy our wanderlust. Yes, we know, everyone says you must visit Santorini, but let’s save it for the off-season and consider these Greek islands that are underrated but remarkable. Where to go in Greece – The island-style summer! A volcanic island with charming hilltop villages, green meadows, and one of Greece’s most beautiful churches, this place is sure to satisfy those looking for the road less traveled. One of the first inhabited Aegean islands, with a picturesque harbor, a notable wine region, and natural landscapes, Alonnisos is the perfect place to unwind. With stunning crystal beaches and mountainous forests, this island is the perfect relaxing getaway. As the cultural center of classical Greece, Náxos is a hub of traditional culture and ancient sites, along with beautiful isolated beaches. Where to go in Greece – The land-style summer! Not actually an island, but a group of three peninsulas in Northern Greece, Halkidiki is home to countless sandy beaches, intimate coves, green forests, ancient sites, and nightclubs, sure to satisfy all traveler types. Family, friends or boyfriend/girlfriend? Or maybe solo? Independent travel or have everything organized for you? 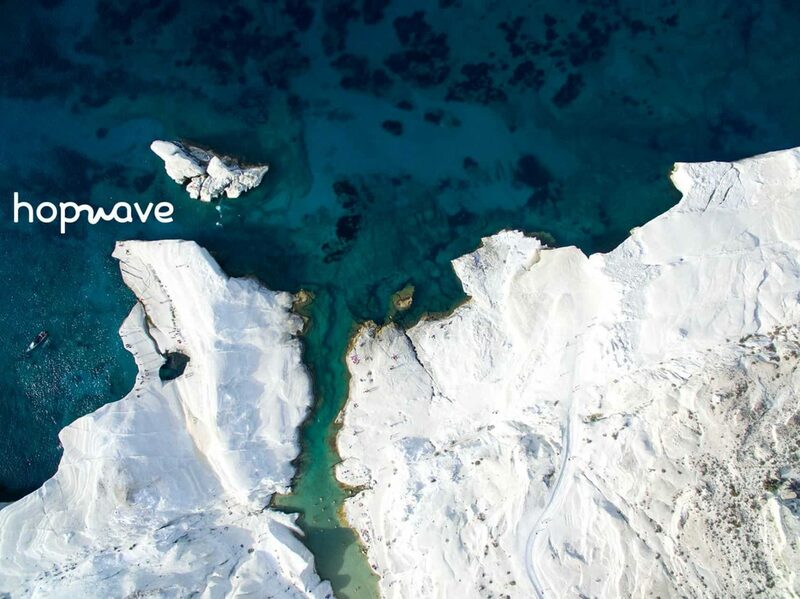 With hopwave, you can explore these places, ensuring the ultimate experience. Take it from your island experts!